Two days to go wild, craft beer lovers! 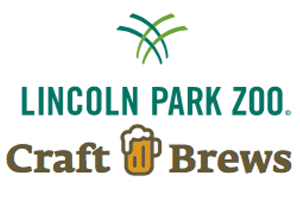 Don't miss Lincoln Park Zoo's fifth annual craft beer festival, Craft Brews! Savor a selection of over 120 specialty brews produced at this one-of-a-kind event. Beer tasting stations will be set up throughout the zoo's beautiful gardens during this after-hours experience just for adults. Beer Servers will be assigned to a brewery to help pour beer via a draft system.